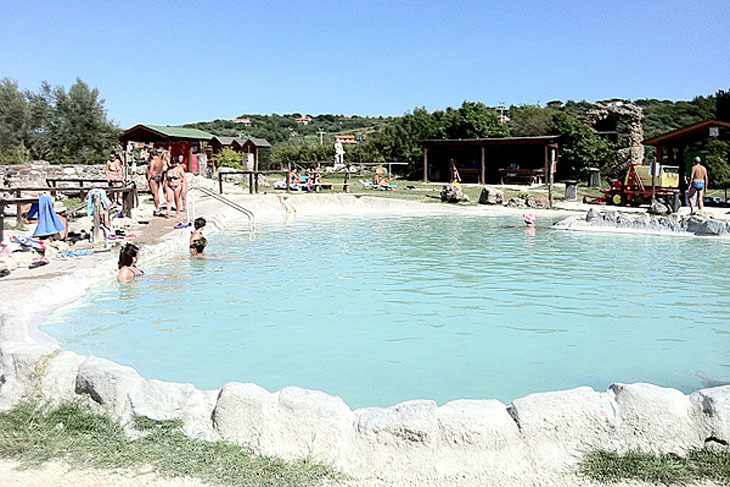 The spa area of the masses of Saint Sixtus is located at the southern end of the thermal area of Viterbo, at the junction of the highway Orte-Viterbo on SS Cassia Sud (Location Paliano). In the spa you are two spa tubs , one of which is quite large with hot spring and a smaller one with thermal water warm (about 18 ° c): this allows to experience the feeling of the gradient of temparetura passing from a pool to the other. The spa is surrounded by a large green lawn, and there is ample parking for cars.